Scarcity of water especially the potable water has remained a major predicament towards opening new sectors in Islamabad. Yet, undeterred by the water shortage, the population of the city is growing at a rate of 5.7 percent per year aggravating the water shortage. Present population of 1.757 million is likely to increase to 4.443 million in 2050. In Islamabad, the main source of water are, the reservoirs built at Simly and Khanpur and few tube wells, as water aquifer in the capital territory is shallow and scattered. A peak cumulative water production from these sources is 84 million gallons per day (MGD), which drops down to 62 MGD. The average demand is 176 MGD, while water shortage of 106 MGD, confronts most of the time of the year. The position in neighboring Rawalpindi city and cantonment is equally bad as it is solely dependent on Rawal Lake and sharing with CDA supplies from Khanpur Dam. Islamabad face major crunch during summer season and pre-monsoons, when water rationing is imposed; people throng the complaint centers, clamor for water tankers, an arrangement which CDA cannot meet adequately. The Federal Cabinet in 2004, while reviewing presentation on the CDA had decided that the long-term solutions of water shortage needs to be highlighted to help catalyze the development process in the city of Islamabad. This required exploration of source for a sustainable supply of water. The following sources had thus been focused upon. In April 2005, CDA assigned a case study to M/s MM Pakistan and M/S Mott MacDonald (UK). The Consultants studied seven locations for abstraction of water/ construction of intake structure. 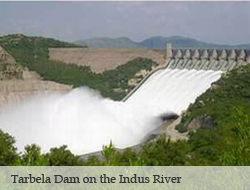 Twelve route options of both the perennial sources for conduction of water up to Islamabad were also studied. Conduction of water from Tarbella Lake has been found as the most optimal choice to meet present demand (200 MGD) and future requirement for twin cities on long term basis. The Prime Minister of Pakistan vide P.M Secretariat Directive bearing No. 280 (2255) dated 11.09.2008 directed that “Maximum efforts may be made to resolve the water availability problem in the Federal Capital. The Council of Common Interest (CCI) in June 2011 had also approved the water allocation (400 cusecs) for Phase-I of the project. The studies made by the consultants had further been got reviewed from Chinese companies. According to the estimates an amount of 1.2 Billion US Dollar will be required for implementation of project.It was proposed to obtain a Concessional loan for the project from Government of People’s Republic of China. In pursuance of the same, after seeking NOC from Economic Affairs Division, Ministry of Finance and Ministry of Law & Justice, approval of Prime Minister, for signing of MOU between Government of Islamic Republic Pakistan was obtained. On June 06.2012 during President of Pakistan's visit to China, CDA CMEC, signed MOU, for cooperation with each other on technical matters related to the project and to pursue loan approval by Government of China. The EAD on July 18, 2012 has been requested for negotiations for seeking Concessional/ preferential loan for the project with Govt. of China/Exim Bank. After approval of loan Bids will be called as per PPRA rules.